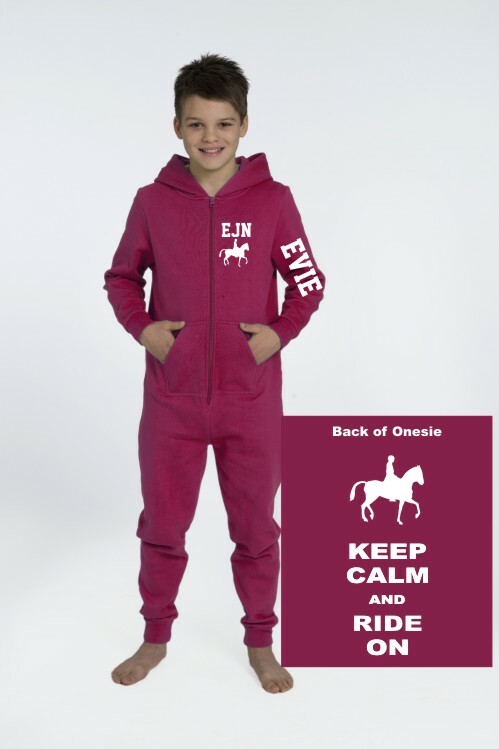 Children’s Onesie printed with a horse and rider and the words”Keep Calm and Ride On”. This ultra comfortable Onesie is available in a choice of 4 colours including Black, Red, Royal Blue and Hot Pink. The main text is printed on the back and comes with the child’s initials on the left Breast above horse and rider, the child’s name can be printed on the right arm at an additional cost of £1.50.